PowerShell became a key part of my red team toolkit in 2014. 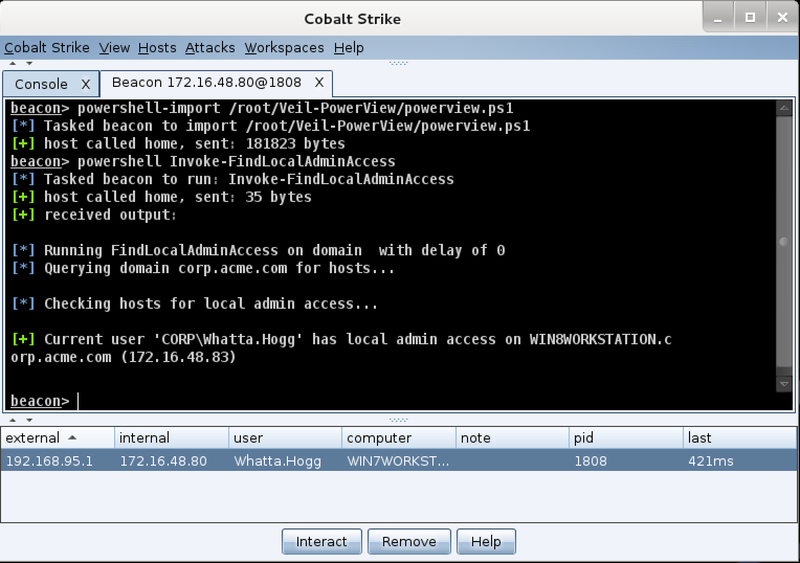 Cobalt Strike 2.1 added PowerShell support to the Beacon payload and this has made an amazing library of capability available to my users. In this post, I’d like to take you through a few of my favorite collections of PowerShell scripts. Let’s start with PowerSploit. This is a post-exploitation toolkit originally put together by Matt Graeber with contributions from Chris Campbell, Joe Bialek, and others. When I use Beacon, this toolset is almost a drop-in replacement for features that I would normally need Meterpreter to get to. For example, if I want to use mimikatz to dump plaintext credentials, I simply import the Exfiltration/Invoke-Mimikatz.ps1 script and call the Invoke-Mimikatz cmdlet. Simple. PowerSploit also features several great tools to steal credentials in other ways, log keystrokes, and take screenshots. Every Christmas, I ask Santa for a privilege escalation vulnerability scanner. This has long made sense to me. When I have access to a system, I am in a good position to conduct automated reconnaissance and identify a known weakness to elevate with. Will Schroeder answered my wish with the PowerUp tool. This PowerShell script interrogates the system in several ways to find a privilege escalation opportunity. It even offers some helpful cmdlets to help you take advantage of the misconfigurations and weaknesses it finds. To use PowerUp I just import PowerUp.ps1 into Beacon and run the Invoke-AllChecks cmdlet. Last in my list is PowerView (also by Will Schroeder). This script is a full toolkit to interrogate a domain for hosts, users, and complex trust relationships. I probably use less than 10% of its potential capability right now. I tend to use PowerView to list hosts on a network and to quickly find out where I may have admin rights with my current token. This has become one of my first network reconnaissance tools and it has eliminated a need to scan for targets in many cases. My favorite PowerView cmdlets are Invoke-Netview and Invoke-FindLocalAdminAccess.